Heavy mineral content lurking in your water can wreak havoc on the appliances and plumbing in your home, like water heaters and dishwashers, reducing efficiency and eventually cutting their lifespan short. 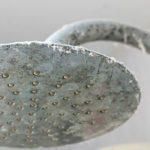 Some effects are even more obvious as you watch unsightly scale dot dishes, accumulate on shower doors and collect on faucet rims throughout your home. A water treatment system is a MUST for every Kansas City family, the only question is what type of system best fits my home and family size? Whether you need a whole home water softener or reverse osmosis filtration system, Overland Park Heating & Cooling firmly believes WaterTech products are a step above the rest and they offer a wide variety of options. The WaterTech REIONATOR® water softener is built to maximize water efficiency and save you money all while protecting the environment. If by some chance your REIONATOR® needs repair, it comes with an industry rarity – a limited lifetime warranty. It starts by reducing calcium and magnesium which cause hardness, but that’s just the beginning for the REIONATOR®. the proprietary technology also strips water of unpleasant odors and chlorine taste. Compared to other water softeners and conditioners, the REIONATOR® features incredibly smart engineering that anticipates your water usage to ensure you always have the best water exactly when you need it. Schedule a FREE ON SITE WATER EVALUATION and let OPHC build the water system that fits your specific needs! A.O. 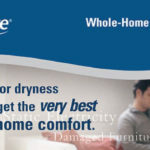 Smith has a reputation of providing state-of-the-art water heating technology that is affordable and long lasting. Each installation of a new 40- or 50-gallon water heater includes an expansion tank that is required under Johnson County city code. Expansion tanks are a pre-pressurized steel tank with an expansion membrane inside that prevents contact of the water with the air in the tank. Expansion tanks absorb the increased volume of water generated during the heating process which helps prolong the life of the water heater and your home's plumbing network. THE RO PUREPRO™ CAN FILTER THE WORRY FROM YOUR WATER. Reverse Osmosis is the process of pushing regular water through a semipermeable membrane removing chlorine, total dissolved solids and other impurities. The RO PurePro can supply quality drinking water to one specific faucet and also to your refrigerator ice/water dispenser. Purchase any WaterTech® water softening system and get a Reverse Osmosis drinking system complete with installation, for only $299! Call 913-649-0303 for more information! OPHC has several choices that provide our customers with multiple financing options. Whether you prefer short-term deferred interest or long-term financing, OPHC will work to get the equipment you need at a rate that won’t break the bank. Schedule a FREE Onsite Water Consultation Today!